Cassia tea Gas micro, taste bitter. In full particles, color green brown better. Chemical ingredients include emodin (emodin), rhubarb, physcion, obtusin, blunt leaf obtusin and glycosides. It has the following effect. Heat eyesight, laxative. 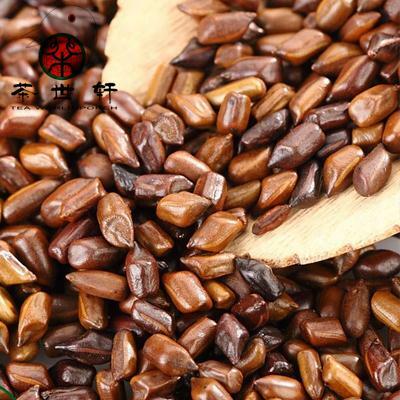 Mu Chi astringent for pain, the shame out more tears, headache, dizziness, head dark unknown, constipation. In the liver, kidney, large intestine. The effect of weight loss. Wind-heat red eyes, Qingmang, bird mesh, hypertension, hepatitis, cirrhosis, habitual constipation. As the main way to drink tea: Cassia and lotus leaves with boiling water along with tea, especially suitable for obesity, also has the effect of preventing constipation intestines. 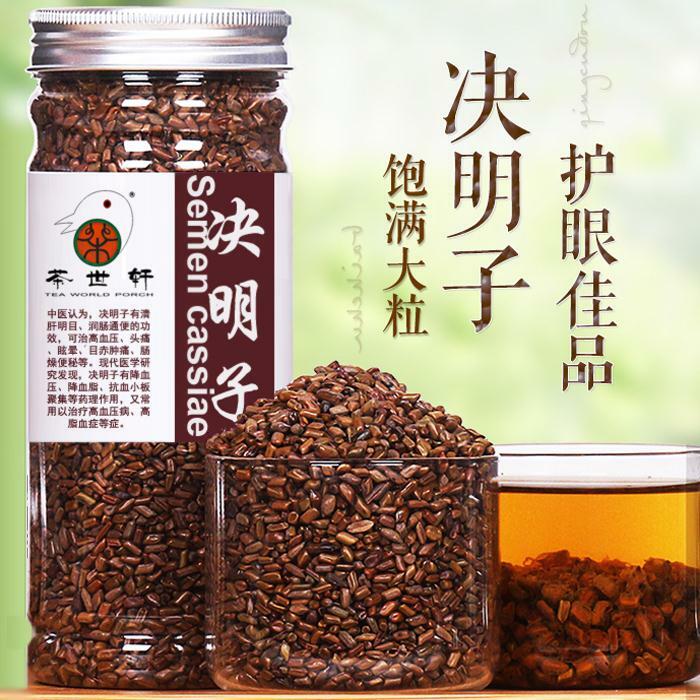 Regular consumption of cassia seed tea eyesight role, so often to stay next to the computer friends may try to drink some of cassia seed tea. Method: Cassia low heat and fry aroma overflow removed, waiting cool. 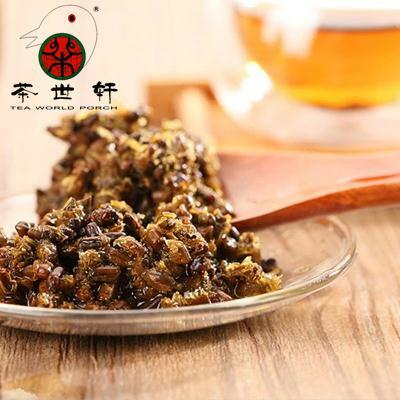 The fried cassia, green tea with the release of the cup, into the boiling water, then soak for 3 to 5 minutes after the Beverage. With the drink with continued water until tasteless up. Efficacy: This tea cool throat, taste appropriate, with heat Pinggan, lowering blood pressure, laxative, benefits eyesight eye effect. Indications: for hypertension, hyperlipidemia, constipation, blurred vision and so on. Note: The tea "produced by Mingsong Luo Hui, longer than of food; production Zhejiang Shaoxing Zheyue Japanese cast, longer clear long; build capacity Min Zheyue tea, specializing in addiction malaria; production Kuni Zheyue bitter small, specializing in Zhili ; Zheyue southern Yunnan Pu'er tea production, the digestion and addiction malaria, dysentery Gong "Therefore, lipid digestion Usnea Anhui and Yunnan Pu'er tea is better. 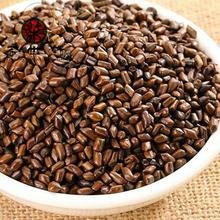 Cassia to grains, plump, brown is preferred, when the fry aroma overflow, but do not fry paste, so as not to affect the efficacy. Cassia seed tea bitter cold Shang Wei, therefore, spleen and stomach, blood deficiency were not served. Tea contains caffeine, there are refreshing refreshing power, therefore, should not drink tea at night to prevent insomnia. 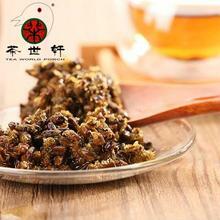 Raw materials: medlar 10 grams, 3 grams of chrysanthemum, cassia 20 grams. 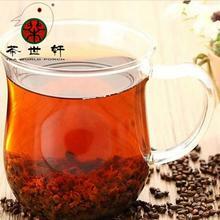 Method: wolfberry, chrysanthemum, cassia seed at the same time into a large covered cup, with boiling water, cover, simmer 15 minutes to start drinking. Usage: When the tea, frequent drinking, and can be brewed 3-5 times. 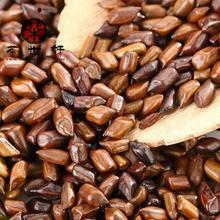 Effects: Liver purging fire, Yin eyesight, lowering blood pressure. 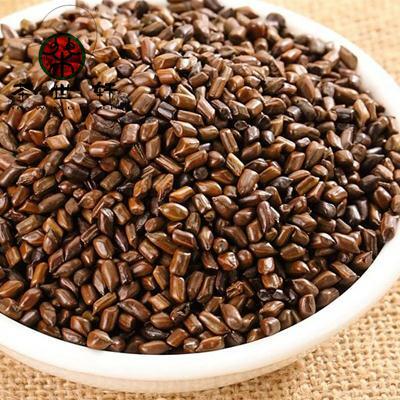 Yang Kang for anger type of stroke sequelae, Zheng Jian paralysis numbness, dizziness, lightheadedness, facial reheat, irritability, increased blood pressure, reddish, yellow fur, pulse string.